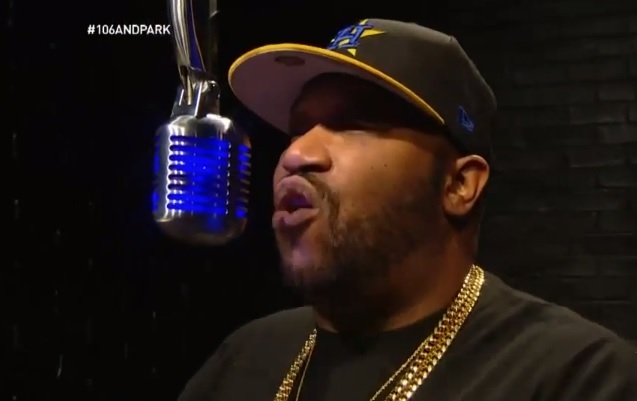 Bun B hits the “Backroom” over at 106 and Park with DJ Kay Slay to deliver a new on-the-spot freestyle. Check out the Houston O.G. as he handles his own on the microphone while Slay throws on the instrumental for his track “Keep Calm.” Bun makes sure to drop plenty of down South inspired bars for the folks watching at home as he goes to work over the menacing production. This entry was posted in In The Studio, Miscallenous, Video and tagged 106 and park, Bun B, hip hop, rap, the backroom freestyle. Bookmark the permalink.